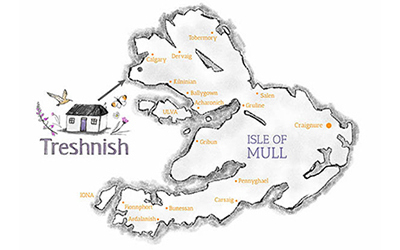 You are here: Home / Blog / Calgary – one of the best beaches on Mull?! 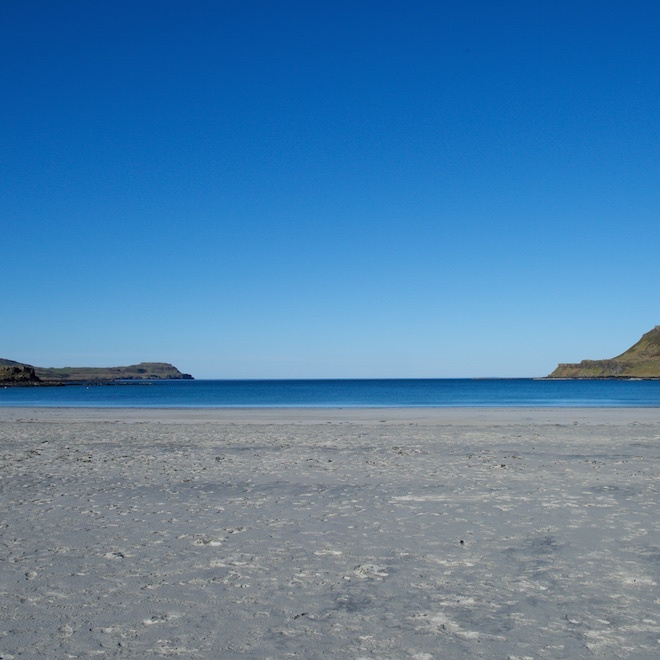 Calgary – one of the best beaches on Mull?! We are often asked which the best beaches on Mull are! It is a difficult one to answer because it all depends what you want from your beach. Calgary Beach is our nearest beach. 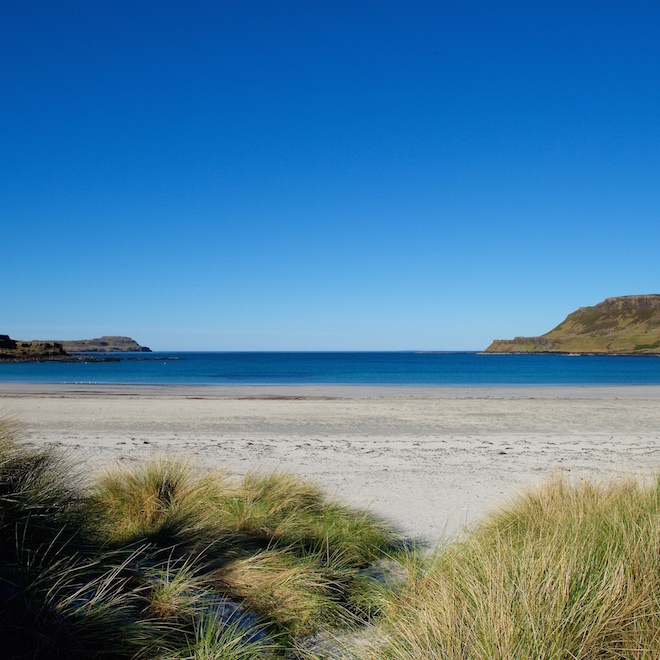 It is considered not just one of the best beaches on Mull but in Scotland! The shallow slope of the beach and the sandy seabed make it this wonderful wonderful turquoise, whatever the weather. Even on the darkest day in the winter, with wild storms raging, the bay is turquoise – although perhaps a little duller than these photographs. The shallow beach makes it popular with families – for picnicking, swimming, paddling, mucking about in boats, playing beach games at low tide. And lots more besides. Early in the morning it is peaceful and quiet – share it with the oystercatchers and the sand martins. On sunny days, even when ‘busy’ there always seems to be room for everyone! 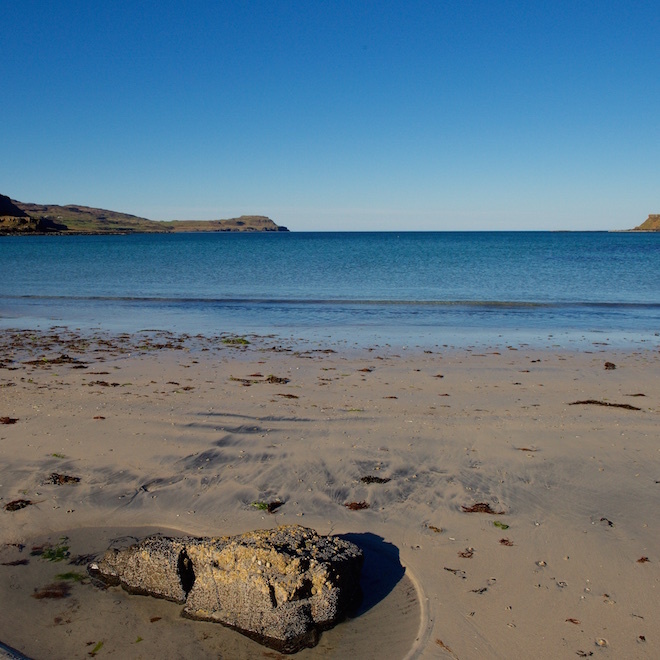 Treshnish has four miles of coastline with several ‘beaches’ and coves where you can access the sea shore. The beaches are rocky and shaley rather than sandy. Just beyond Haunn at the bottom of the old track is the beach where Donald Sutherland gets shot in the film ‘Eye of a Needle’ filmed here (and at Loch Buie) in 1981. People still talk about the filming and how much locals were paid for standing by a gate all day. They had to open and close them when anyone needed to get through! The shepherd here at the time said he had cutting peats up by the roadside and some of the film crew left a box of beers for them by the peat stack. Why do I think this is one of the best beaches? It is in a beautiful location, miles off the main road. Wonderful views in every direction and plenty of interest, in rock pools and natural geological features. Friends of Calgary Bay is a group which was set up a few years ago, to try and protect the bay area. Recently they have been fundraising to fence of the machair. Machair is a shell sand grassland found in only a few places on the island. This site is a SSSI (site of special scientific interest) however it needs protecting. If you would like to know more about the work of FOCB please look at their Facebook page.